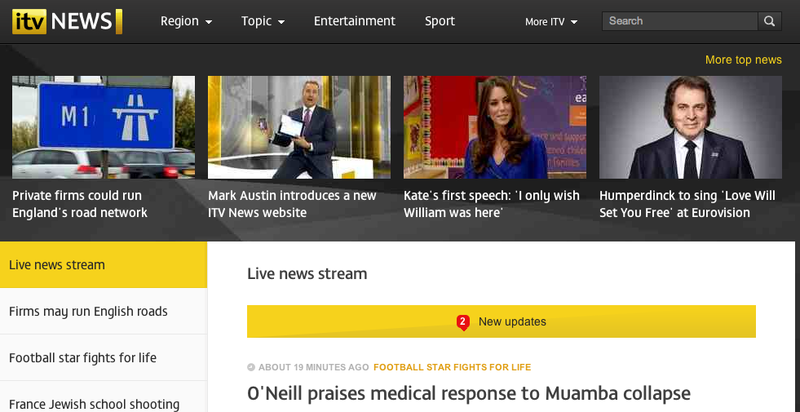 A few months ago I saw an early version of ITV News’ new website, and was pretty impressed. Now it’s finally live – and I’m still impressed. Why? Because this doesn’t just fiddle around the edges like so many news website relaunches have done since 2007. This reinvents the whole thing – and the result is more like a social network or a blog than a newspaper front page. The design is slightly watered down from what was being tested a few months ago (which was more like a liveblog) – but the principle remains. Users can scroll down content – including lots of embedded video – which is ordered most-recent-top. 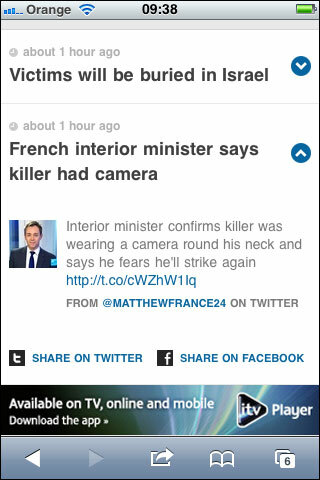 There’s also a prominent story-level navigation on the left-hand side (rather than the subject-level approach normally adopted by publishers, which is less prominently displayed across the top) and 4 ‘headline’ reports across the top half of the screen (normally used for branding or the ‘banner blind spot’). These priorities are also reflected in the video introducing the new site. The site even holds back new updates with a Twitter-like ‘2 new updates’ block that you need to click on before those are displayed. Cute. The most striking quality of the page is its sheer stickiness. Learning from the experiences of so many liveblogs, which themselves have quickly become key features of most news website homepages, this tries to hold the user’s attention with an almost endless supply of news in brief (I had a sudden flashback to flicking through Ceefax) and video – as well as the promise of continual updates. Put another way, the ITV News site turns the concept of ‘every page is a homepage’ on its head, so that the homepage becomes ‘every page’. There’s a confidence that the user is coming here because they want to know what ‘the news’ is, rather than because they are looking for something specific. And the page provides that in spades. I’m very curious to see what metrics the site produces – low pageviews but very high time spent on site/per page would be my hunch. “[T]he stream would have some particular characteristics: we’d push lots of big photographs through and tell stories with words and pictures, learning a lesson from Picture Post and Life; we’d have editors curate the stream using multiple sources and content types, aggregating the best of the web and not just ITV/ITN-generated material; and we would also filter the stream to make it possible to follow individual stories. This last was the big idea and – certainly in this context – an original one. 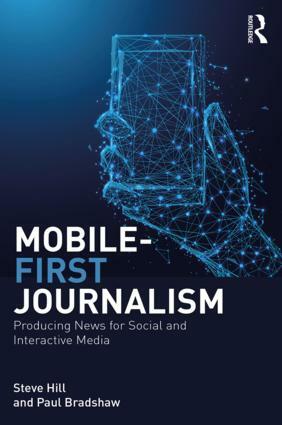 “…We also had a strong conviction that opening up the news gathering process – rather than adding new work – would give us the content we needed for the stream. 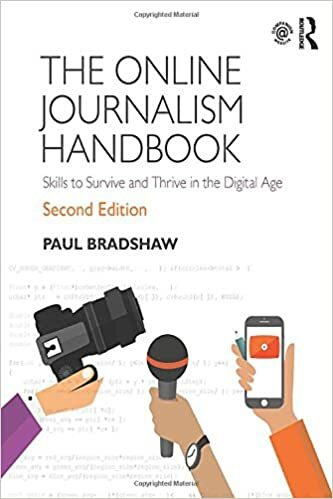 “…We learnt that curating the stream was a job for at least three editors/producers; that it had the potential to be a great editorial product so long as the editor had a feel for storytelling, which meant knowing what to leave out as well as what to put in; that a fast and simple admin tool with very rapid throughput would be a vital component of the product (our prototype editor was woefully inadequate). We also found out that we would be able use the by-products of the journalistic process to give us sufficient content. This entry was posted in television and tagged ITV, liveblogging, Made by Many, martin belam, relaunch, WIlliam Owen on March 19, 2012 by Paul Bradshaw.